The smallest indivisible territory on the Global Map; all game actions take place in provinces. A combat unit used by a clan to attack an enemy’s provinces and defend its own territories. A Division can be reinforced with modules. Influence is required for Division organization. An assault on a province launched to capture it. If an attacking clan defeats the province owner, the province goes to the winner. The way you can attack a province depends on the province type. In some Fronts, auction and/or landing provinces cannot be attacked from adjacent territories. A province targeted for an attack is located within your region (if regions are enabled) or within your Front (if regions are disabled). A clan cannot attack a province outside its region/Front. The border between the provinces is open. Some borders between provinces of the same Front can be closed. A clan cannot cross a closed border. At least one hour is left before the Prime Time in the province. One hour before the Prime Time, all the challengers are determined and preparations for the battle for a province get underway. To attack an adjacent province, relocate your Division to this province. You can cancel your attack application at anytime until the end of the current turn. Clans can transfer attacks on provinces to their direct Major or Minor Powers in the Alliance (see Transferring Battles). Your clan's Division is attacking an enemy province along with other challengers. For more information about Division statuses, check the Headquarters, Divisions, and Modules section. 12 challengers are attacking your clan’s province. Your clan has no intelligence data on the province. You can see only a total number of challengers attacking the province. The details you can see on the map depend on the map scale. 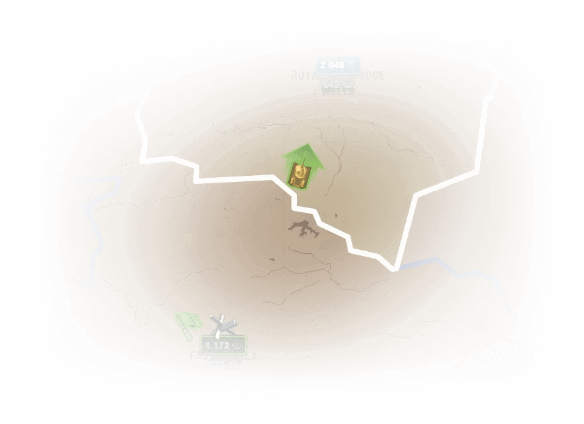 To zoom in on the map and check the tactical situation at your borders, use the scroll wheel.